The Mayan astrology compatibility test depends on the Tzolkin calendar. 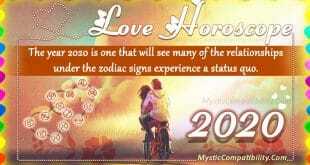 Let us see what Taurus compatibility has in store for the 12 zodiac signs. Pay close attention as Cancer’s compatibility is taken a closer look into. Aries compatibility with other zodiac signs will reveal in depth how they blend with other signs in the zodiac chart.